Hello to the keepers of the rock! 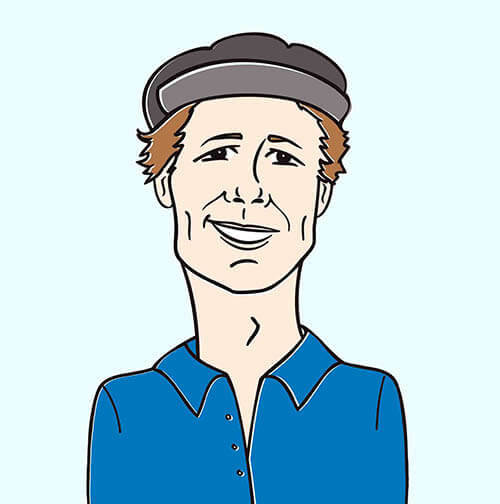 It’s Andy Gesner and the staff at HIP Video Promo coming at you with yet another incredible video from our friends at Astralwerks! It’s amazing to think that it was ten years ago when Trailer Park stood then-contemporary alternative music on its head. Beth Orton’s debut found the perfect middle ground between electronica and the pristine British folk tradition. Trailer Park felt like Sandy Denny backed by Tricky, and it introduced the world to a singular and unique voice. It was possible to hear the echoes of famous folkies in that delivery of hers, but Orton’s phrasing and sense of meter were entirely her own. Central Reservation, her glittering follow-up, pushed the hybrid even further, incorporating elements from country music, blues, and classic R&B. The experiment has stood the test of time, and Central Reservation is now considered a classic – one of the few examples of a late Nineties folk/techno collaboration that doesn’t seem like a hasty pastiche. Orton appreciates both genres, and her understanding of the ways they might interact has proven to be tremendously influential on adventuresome singer-songwriters (and their producers). Comfort Of Strangers, her latest, extends the winning streak. It’s the most direct and forthright album she’s ever cut: the arrangements are organic, and Orton’s winsome voice is pushed to the front of the mixes. She’s closer to us than she’s ever been before, and that feels like a gift. If she’s chosen to de-emphasize the electronic elements of her music this time around, she’s kept her set cutting-edge by experimenting with songwriting form and by penning her most articulate and emotionally varied set of lyrics. Orton has always gotten the most out of her collaborators – her work with William Orbit harnessed the power of the machines and imparted some warmth to them at the same time. OnComfort Of Strangers, she’s chosen to employ the talents of legendary producer Jim O’Rourke (Wilco, John Fahey). And “Shopping Trolley”, the second single, was co-written by M. Ward, who imparts some of his dark backwoods fire to the track. Beth Orton is also one of the most striking and unforgettable-looking people working in modern music: she’s six feet tall with a face like a geisha mask, and she exudes an awkward-but-oh-so-fetching sexuality. Her genuineness is captivating, and in prior video clips, she’s drawn the lens to her eyes like a magnet pulling on iron. Karni & Saul’s delightful clip for “Shopping Trolley” brings out a more whimsical Orton than we’ve seen so far, but shot lying in the greenery or high-stepping across country lanes, she’s still a blithe and lovely sight to behold. In prior Beth Orton videos, inanimate objects have seemed to take on a character and personality all their own (remember the line of mailboxes in the clip for “She Cries Your Name? ), and they’ve helped lend a kind of quotidian magic to every scenario she inhabits. Here, she’s moving from a city house to a tree in the countryside – and through CGI and stop-motion pixellation, all of her belongings are going with her. They hop off dressers and night-tables and follow her as she goes, charmed by the idyll. But when she reaches her destination, she sneaks inside, and closes the door on her old belongings. They cluster in a heap, suddenly bereft of animation, crushed to be out of their master’s presence. It is safe to say that here at HIP we are all very big fans of Beth Orton and we could not be any happier to be working with her and the music savvy folks at Astralwerks. We will have Beth Orton goodies along with plenty of copies of Comfort of Strangers on hand for on-air giveaways and contests. If you need more info, call Andy Gesner at 732-613-1779 or e-mail us at info@HIPVideoPromo.com . 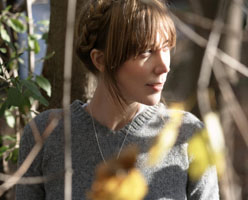 You can also visit www.Astralwerks.com, or www.BethOrton.mu to find out more about Beth Orton.